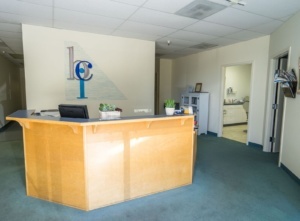 Ideally located near Highway 101 in the southern Sonoma County city of Petaluma, BCI Dental Laboratories Inc. serves all of Marin, Sonoma, San Mateo, San Francisco, and Napa Counties as well as accounts all over California and the United States. 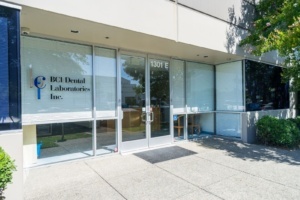 This state of the art full service dental laboratory creates consistently superior fixed and removable prostheses using the latest materials and techniques. Phil is a graduate of the dental technology program at South London Technical College in England. He opened Broughton-Tyrrell Laboratory in San Rafael in 1986 and moved the lab to Petaluma in 1999 to form BCI Dental Laboratories. Phil has over 30 years of experience in crown and bridge, implants and removable prosthetics. He has sat as a lab adviser on multiple implant study clubs, has given several presentations on both implants and all ceramics. Phil is a fellow of the International Congress of Oral Implantologists (ICOI), a certified master technician from the Las Vegas Institute (LVI) and has studied under Dr. John Kois in Seattle at the Kois Centre for Advanced Studies. Dental Laboratories are a big part of the Broughton family history. Philip initially started his apprenticeship in his father John’s business, Broughton-Hackwill in Newbury, England. His brother Paul also worked there, and their uncle David also owned a dental laboratory in Bath. When Arthur Hackwill retired, John partnered with John Tyrrell to form Broughton-Tyrrell. Paul became a partner upon John Tyrrell’s retirement and they ultimately sold the lab. Whilst John has retired, Paul and David continue owning their own laboratories. 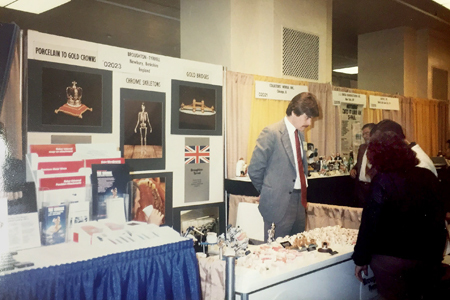 Philip at one of the first trade shows in U.S. at the Broughton-Tyrrell booth in Chicago. 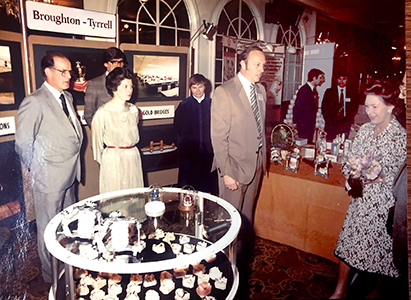 Princess Margaret, the sister of Queen Elizabeth, visiting the Broughton-Tyrrell booth at a London Trade Show. Philip’s father, John, is on the left, in the back.